Businesses of all sizes can benefit from improved security. Protecting your business, equipment, property, employees, and customers are all significant benefits to a surveillance camera system. According to the U.S. Bureau of Labor Statistics, 4,836 fatal work injuries occurred during 2015. Within the same period, the National Retail Federation and the University of Florida found that robberies at retail locations cost businesses an average of $8,180.17 per incident. Video surveillance can be implemented to answer these threats, improve workplace safety, and reduce loss. Working with an experienced company can ensure that the solution you choose will be optimized to provide the surveillance that is right for you and your business. When it is time to choose a security camera, you should start with your business goals. There are several reasons to why you might want to install security cameras. What are the top priorities for you and your business? Is it to deter crime, or monitor employees, monitor the public/customers or all three? Do you need to secure the inside or the outside of your business or both? Is it all these things or something else? Start with the goal, and it will help lead you to the right business security solution. The number of different work areas and the amount of physical space to be monitored will help you come up with the right number of cameras needed for your business. You may need only cameras to monitor doors, or you may require one camera in multiple areas throughout your building. If you need a lot of coverage and few or no blind spots, then that will require more cameras. What camera resolution do you need? Camera resolution has evolved rapidly in recent years. High-resolution, digital cameras are now available in 4K; think about the quality picture of a 4K 60” television. The resolution you need in your security cameras is dependent upon two essential factors: 1) the details within the viewing area and 2) the size of the viewing area the cameras are supposed to cover. Your ADS commercial sales consultant will advise you on the proper resolution based on these two factors. 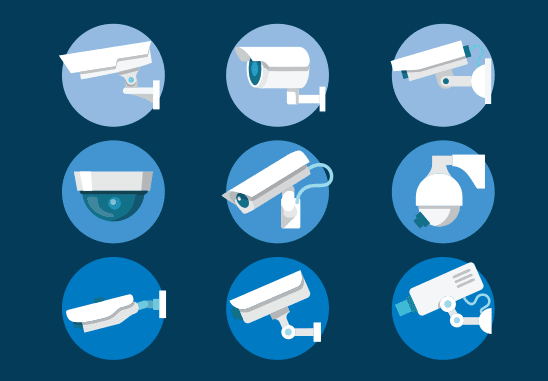 Your security camera application requirement will help you choose the right resolution. If you expect that you will need zooming in with the camera frequently will be a need, then you will need a higher resolution system. You don’t want to buy too low resolution of a system if you need to zoom in on a face or small items that need to be identified. If you need a security camera system to record at night or in dark areas, you will need to choose a camera with these capabilities. You may need a security camera that can adjust to different light conditions throughout the day. You may need a camera that includes an illumination system to get the right resolution at all times. Furthermore, you may need cameras that can balance bright and dim areas of the viewed scene simultaneously (wide dynamic range). Do you need a scalable security system? Do you expect your video requirements to change in the future? Some camera systems, such as the consumer grade do-it-yourself (DIY) systems can only support a limited number of cameras. If you expect that your security needs may expand, then you’ll need to make sure you invest in a business security system that can scale as needed. A professionally installed & maintained camera system comes with significant benefits. You get what you pay for in a camera system because there are so many variables involved. Cameras that see very well in the dark or high contrast can be well worth the added investment. Professional cameras have a larger imaging chip than less expensive cameras, and a larger chip means more picture clarity. High detail is often a need for court-admissible videos such as bank teller or jewelry store applications. Every camera should have wiring that is ‘home run’ to the recorder without splices in it. DIY packages come with camera wire of about 50 feet. The wiring in these packages uses a method of ‘daisy chaining’ equipment together to meet long distances that can lead to quality issues. A Safe Systems business security expert can help you make sure your security system meets all your needs. After installation, our technicians ensure that the equipment is in optimal working condition with periodic service and inspection.